In Italian, the word “Barbaresco” may indifferently refer to a town in the Langhe or one of the most prestigious Italian wines. In facts, the wine Barbaresco originated in these lands in the beginning of last century, when a group of local producers decided to create a new version of the very aristocrat – and perhaps slightly too posh – Barolo which was expected to be more suitable for the bourgeois tastes of that age. According to some historians, Barbaresco should be much more ancient instead, maybe even dating from the Roman period. In support of this argument, they quote multiple historian sources earlier than the 19th century, for example an Austrian order of 1799 that a barrel of “excellent red wine” (probably Barbaresco, but it could have been Nebbiolo) should be carried to the Austrian command. However, the first bottle with the label “Barbaresco” that is officially documented dates back to 1870. The man that really created Barbaresco and made it famous is the oenologist Dominio Gavazza, director of the Royal Oenological School of Alba and main founder of Cantine Sociali Barbaresco that was the first official producer of this wine. We owe to Dominio Gavazza and his efforts during the difficult period between the two world wars the birth, growth and success of a wine that is considered to be the most similar (“the cousin”) to Barolo. The new wine was built starting from Nebbiolo, a vine that is used in the preparation of most wines from the Langhe. The marketing of Barbaresco began during the ’30ies and had a quick and massive success. The acknowledgement as AOC wine came in 1966, as DOCG (controlled and guaranteed denomination of origin) wine in 1980. Presently, Barbaresco is produced in two typologies: “Barbaresco” and “Barbaresco Riserva”. The surface of production is roughly 500 hectares, with a yearly yield of 2.5 million bottles. Every operation of wine-making and wine-aging shall be done inside the DOCG territory. Grapes are harvested usually in October, before the vintage of Barolo. The aging must be two years minimum ( 4 years for “Barbaresco riserva”) , with a mandatory period in wooden barrels. Barbaresco has a well-structured taste that is strongly affected by the quality of the soils, a factor that thus plays a very important role in its winemaking. The guidelines allow only clay or limestone soils. Lowlands are categorically ruled out. Other important prescriptions of the guidelines are the obligation of pruning according the method Guyot, the cultivation with back-to-back supports, and a maximum allowed yield of 8 tons of grapes per hectare. The percentage of alcohol at the end of the process must be at least 12.5%. Barbaresco is a well-structured red wine with a brownish colour and a bouquet rich of fruity and spicy fragrances. Its taste is dry, rich in tannins, with a sweet and robust aftertaste. When the years of aging are increased, its fruity fragrances leave place to a very rich bouquet, and some typical orange shades appear in its colour. Both Barolo and Barbaresco are made with the same vine that is farmed in the same lands. How can they differ from each other? The difference between these two wines is mainly a matter of taste: Barbaresco is more gentle and elegant, while its tannins are rounder than the ones of the more robust Barolo. In conclusion, they are both well-structured red wines. However, Barolo is deemed as being more masculine and robust, and its tannins are slightly stronger. Barbaresco should be ideally served at a temperature between 18 – 20 degrees in a big glass that has to be large at the base. It should be decanted in its bottle at least two hours . According to wine adepts, the best years are the ones from 1995 to 1999 as well as 2001, 2004 and 2005. What dishes pair well with Barbaresco? Undoubtedly, every dish of the traditional cuisine of Piedmont, particularly the dishes of fresh egg pasta like Plin and Tajarin. Like most red wines, Barbaresco is a great companion of red meat and venison as well. The pairing with white truffles is particularly recommended, as Barbaresco completes the intense fragrances of the truffles in risottos and pasta dishes very well. Mature cheese, like Parmesan, may also be accompanied with this elegant wine. Every vineyard has its own features that are strictly linked to the micro-climate, the position and the type of soil. The concept of “cru” points to those vineyards that set themselves apart from the others because of the special features of the wines which they give origin to. On the label of each bottle of real Barbaresco, there must be then listed also the cru (the vineyard of origin), besides the year and the producer. Limited solely to the territory of the municipality, we remember Asili, bottled by Produttori Barbaresco and one of the best-known crus; Riserva Santo Stefano, of property of Produttori Barbaresco as well; La Martinenga, presently owned by the producer Cina Asinari di Grésy; Rio Sordo, a cru that made the history of Barbaresco; Rabaja, owned by Giuseppe Cortese, that gives origin to wines with a rich and complicated bouquet; Monte Fico, famous for its wines with strong tannins; Pajè, that produces wines with a delicate and mellow aftertaste. 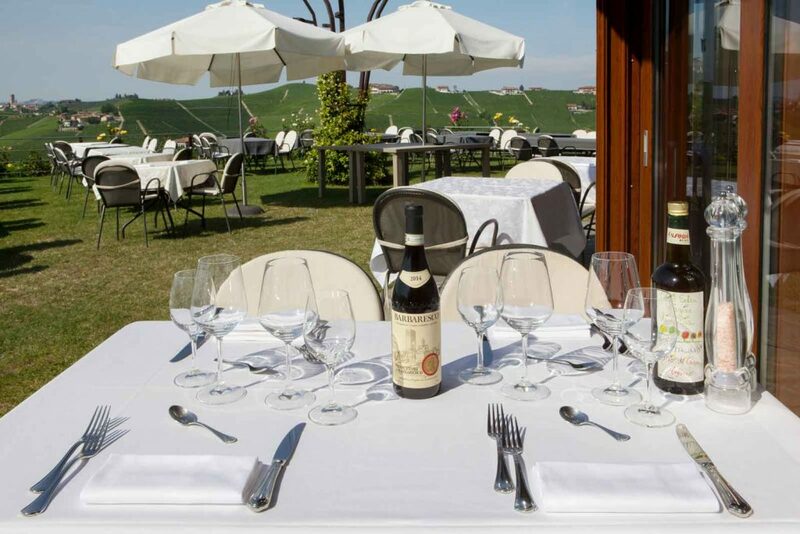 Among the most reviewed cantinas by the specialized blogs about wine, like Vinit, we mention Rabaglio, Carlo Giacosa, Giuseppe Cortese, Cascina Luisin, besides the well-known Produttori Barbaresco.